Sometimes, the Gospel ministry feels like a hospital. In one area, new births are taking place, in another, the sick are being treated, and in another still, patients are in therapy and rehab. On every side, people’s lives hang in the balance, and we can have a small part in helping them get well. This is the joy of serving God! Those new spiritual births are always a thrill to see. Several have accepted Christ and followed in believer’s baptism over the last couple months, including our oldest daughter, Amira! She had been asking questions for some time now, and was finally ready to take a step of faith to trust in Jesus for salvation, making it public through baptism. It’s so exciting to see the work of the Holy Spirit who brings conviction of sin and confirms the truth as we lift up Christ. This is the power of God! Both of our churches have grown with new families being added constantly. We are seeing chains of people who have been reached with the Gospel and are reaching others. Those who were being discipled recently are discipling others in the fundamentals of the faith and even leading small groups and Bible studies. This is missions! We recently celebrated our third anniversary at our main church, as well as the inauguration of a new meeting facility in our second church. Both of our churches are at capacity each week. It was a joy to have friends from the US (Steve, Erin, Jason and José) visiting during this time. They were such a blessing to us and the people to whom we minister, and worked hard in the getting the new building ready for use. Our Bible institute has grown exponentially, and now has around 30 students preparing for ministry, both full-time and as faithful members and leaders in the local church. Please pray for these core leaders as we establish them in the Biblical doctrines and ministry. Over a dozen men have responded to God’s call to preach! 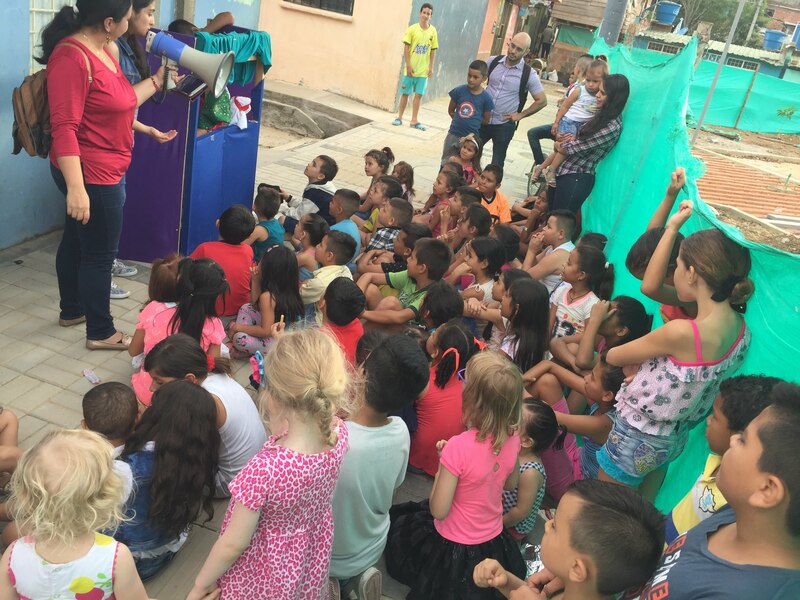 Our furlough is quickly approaching, and we would love to come by your church to give a report of the work God is doing here through us in Colombia. We are now scheduling meetings for February through December of 2018. We are also looking to add around 20 monthly support partners to our team in order to continue to plant more churches. Do you have any recommendations? We have plans in place to plant three more churches by 2020, Lord willing. We have the leaders who are being trained, and we have mapped out the areas that are wide open and needing a Gospel preaching church. We just need the funds to help them get started. If you’d like more info, send me an email at: aaronlvance@gmail.com or call 678-696-0082. The family is doing very well, and Aubrie is nearing the delivery date for our 4th daughter. Pray for her especially during this time. We hope to introduce you to this little princess in our next letter toward the end of November. We are sincerely grateful for your prayers and monthly support, as well as a few special gifts that have come in recently. It is through your faithfulness that we can live and minister here in Colombia. If you do not currently support the ministry here, would you consider partnering with us to become part of our team? Lives are at stake, and we have the message that can save them. Thank you, and God bless! Amira, our 7 year old wanted everyone to know she has believed the Gospel! 3 Years and counting. Christ is building his church! Thank God for good friends! Leaders in the making. We are thankful for the new students in the Bible Institute! Vance Princess # 4 coming soon! 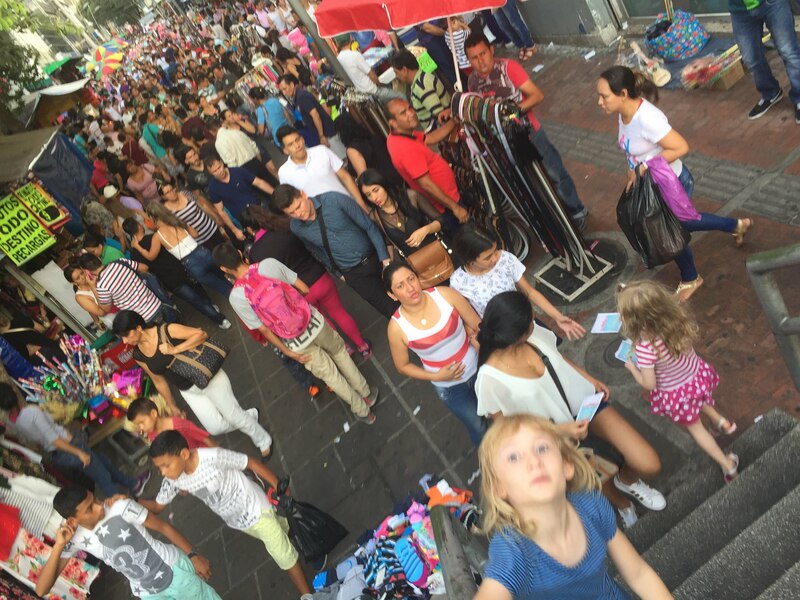 Jesus said in Matthew 16 that he would build his church, and that is exactly what is happening here in Bucaramanga. This month’s update is full of praises as well as some family news. Our second church plant here, which we began in March, is growing and people are becoming more grounded through Bible teaching and preaching. Several of our leaders have begun weekly home bible study groups to strengthen new believers as well as give them an opportunity to make a Gospel connection with their friends and family. After 4 months of meeting in a community center, we finally found a place to rent at the end of June. It’s a small house, and there is a lot of work to be done, but we are thrilled about the progress and the new opportunities. Two of our men, Félix and Díver, are sharing the load of pastoring this new work. Please pray for them, and specifically that Félix would find a godly wife. 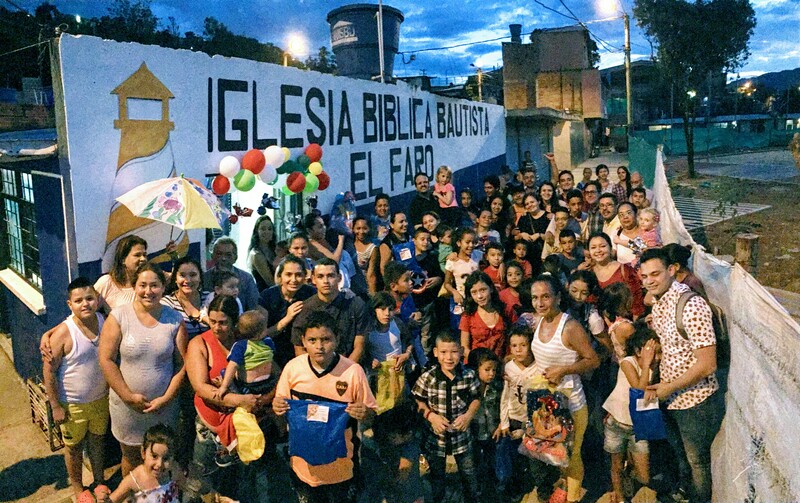 Our first church in Colombia will be 3 years old in a couple weeks. We have a constant flow of new visitors, new believers to baptize, and new disciples who are committed to following Christ. I have loved seeing the spiritual growth and maturity of these believers over the last few years. As I look around, it is evident we are entering into the next phase of ministry and the next stage of this church plant. At the beginning, my family and I did everything from cleaning the church, teaching children’s classes, evangelism, discipleship, preaching all the services, organizing special days, teaching leadership classes, bookkeeping and more. Now, those who were brand new believers not long ago are not only serving in all of these areas, but leading. Some are not only leading, but they are also leading other leaders. This is what missions is all about! We look forward to many more years of being involved in this ministry! Baby Girl #4 Coming In November! Yes, you read that right. We’re having ANOTHER girl! 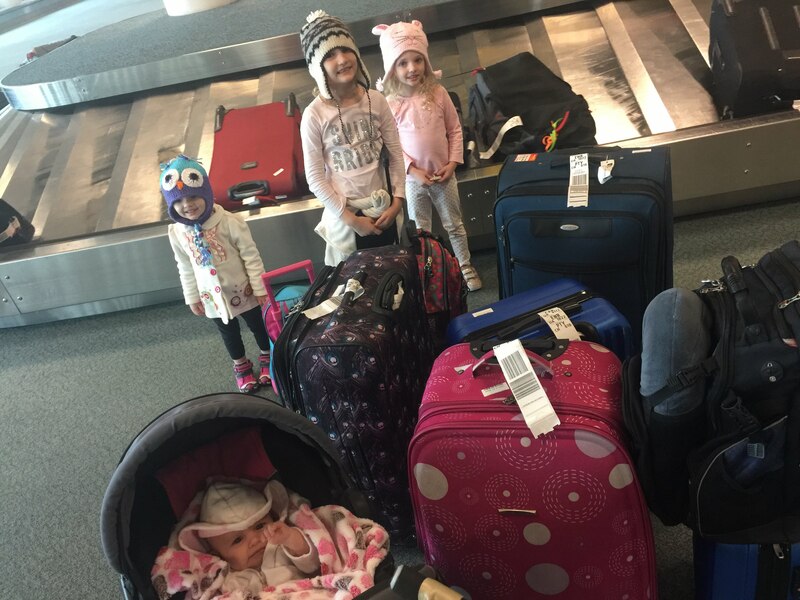 Each of our girls — Amira (7), Anabel (5) and Aris (2) — are excited and already suggesting names, some of which are pretty wild! Pray for Aubrie in the 2nd half of the pregnancy. My grandfather, Donald Swaim, passed away at the end of June. He would have been 87 in a couple weeks. He was a believer and was always witnessing to everyone he met. He took me to Mexico, where he had been a missionary, when I was 15, and he constantly encouraged me to follow God’s will for my life. One of the hardest parts of being on the mission field is not being there with loved ones in the end, though we do rejoice in the hope we have in the Gospel. Thanks to technology and the help of some family, I was able to speak to him and say goodbye before he passed away. Lord willing, our family will be returning to the States for furlough from February 2018 until the New Year. This will serve several purposes: (1) to give a report to our supporters of the great things the Lord has done; (2) to raise more financial support from new churches as the ministry expands and we plant more churches; (3) to preach world missions and cast a vision to see God call more laborers; (4) to spend time with extended family; (5) to provide an opportunity to the preachers and leaders in the ministry here in Colombia to exercise their gifts and calling. If you would like to schedule us to come to your church, please send me an email (aaronlvance@gmail.com) or give me a call (678-696-0082)! We are now filling up our calendar. As always, we are grateful for each of you for your prayers and financial support. 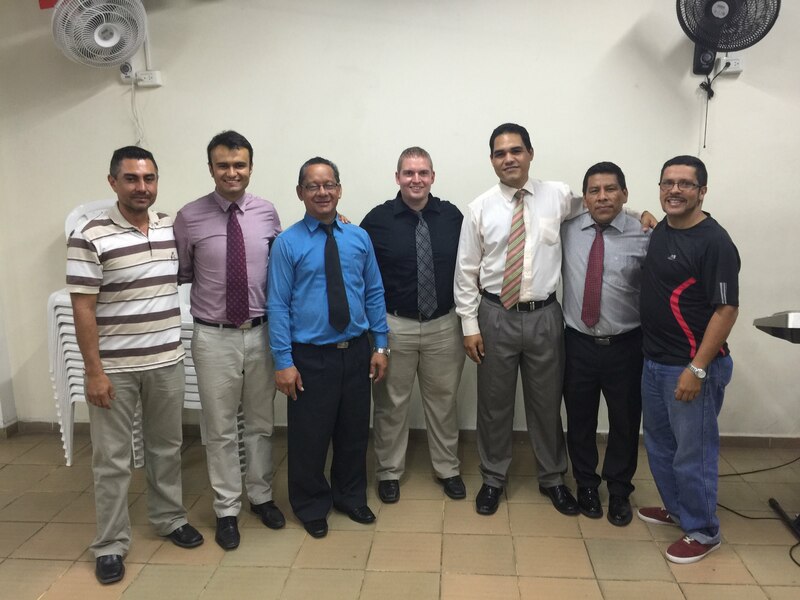 Thank you for holding the ropes for us as we minister in Colombia, South America! The new building for the 2nd church. It will take some work to get it ready. Pray that many lives are changed here! Félix and I were able to both preach in this church on the coast of Colombia. Pray for Pastor Bairo and his congregation! I thank God for the godly heritage and example of my grandparents. 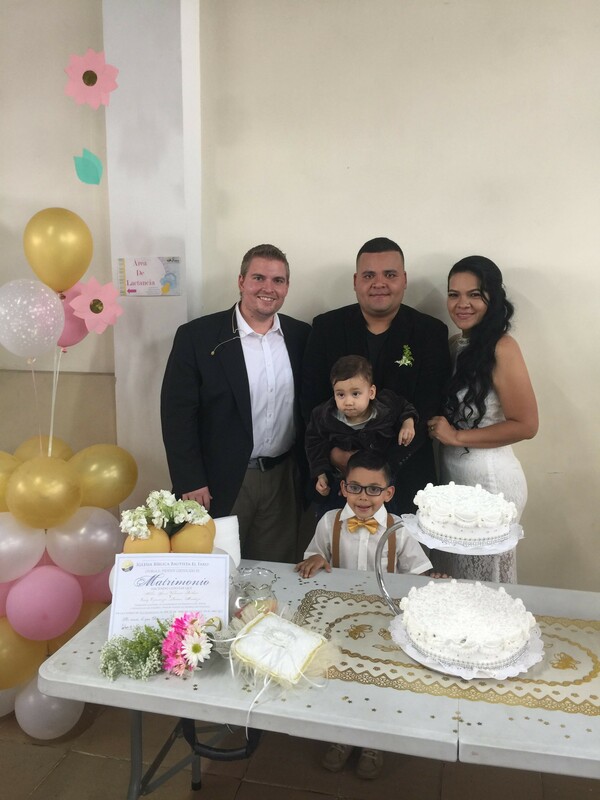 It was a joy to officiate the wedding of two young people from our church, Taylor & Margarita on the coast in June. This month’s update is all about new life. In the US, many of you are currently in the middle of Spring, however, here in Colombia the weather stays about the same all year long… (HOT!) We’re talking about a different kind of new life! 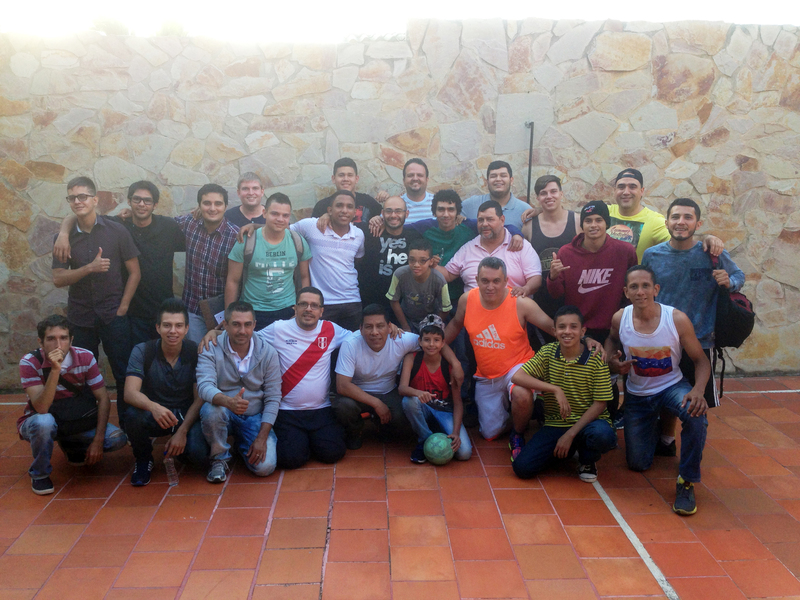 Read on to find out how God is being glorified through the ministry here in Bucaramanga, Colombia. A New Daughter Church Is Born! In March we were able to start a brand new church out of our main work, which is just under 3 years old itself! We had been sowing seeds of the Gospel in this community, called Café Madrid, for some time now, and Christ is doing amazing things. We have several leaders who have been trained, as well as up-and-coming pastors who have been studying ministry with me and who are leading in almost every aspect of this new church. They are preaching, teaching, leading singing, discipling new believers and organizing events and services. It’s amazing to see the Lord working through these men and women, as well as the great response in the community. We’ve had between 50-70 for each service, and are in need of a more permanent facility. Currently we meet in a community center. Please pray for this work in the days ahead! New Believers Born Into The Family! As result of the work in the daughter church, as well as our main church, people are coming to an understanding and faith in the Gospel. It is a beautiful thing to see this new spiritual birth all around us. Some have come from religious backgrounds, but without having ever understood who Jesus is or why he died on the cross, and others come from humanism and atheism and are coming to a realization that there is a God who is HOLY, JUST, but also merciful and mighty to save! It never gets old! Pray for these first-generation believers. New Leaders Born & Growing! Our Bible institute has had tremendous growth this year. Training leaders is really the heart of our ministry. We know that without “teaching them to observe all things,” we are not fulfilling the Great Commission! This is what Jesus, Paul and the other Apostles did throughout their lives. Because of this focus, the Gospel message has made its way around the world, through the ages, to us here today. Last year we had 12-15 men training for ministry, but now there are around 25 who are committed to serving the Lord, peaching the Gospel, and have given their lives to the ministry. We are going through organized theological and ministerial themes and studies, as well as life-on-life and hands-on practical teaching. The long-term success of our ministry really depends on these men and women. Continue to pray for them! New Little Vance Coming Soon! Speaking of new life, Aubrie and I are pleased to announce that God is entrusting us with our 4th baby, due in November! Our three girls are excited and already convinced it’s going to be another girl. If that’s the case, there will already be plenty of hand-me-downs! Either way, we are so blessed, and we trust God to help us raise all of our children in the nurture and admonition of the Lord. We appreciate your prayers for our family, especially Aubrie, in the months ahead as we prepare for this new arrival. Once again, thank you for your continued support of our family and ministry. There are amazing things happening here, but we know that it’s only by, through, and because of God’s grace. One last prayer request is for our first furlough, coming up during 2018. We are currently making plans for this trip back to the States, to give a report to our supporting churches and raise more support for the growing ministry here in Colombia. If you would like more info, just shoot me an email at aaronlvance@gmail.com or call me at 678-696-0082. I will give some more details in our next letter. Praying before the launch of the new church. All is in vain unless God works! Juan preaching to the youth and singles. He was a lost attendee just 2 years ago! Juan Pablo has recently gotten involved in training for the ministry. Here, he is giving his first mini-sermon at church. Our girl’s reaction when we told them that we’re having another baby! They’re each unique! Passing down the big sister shirt to Aris.